As many as 10,000 Europeans could join ISIS by the end of this year with as many as 5,000 by this summer, the French PM estimated amid EU officials’ concerns. 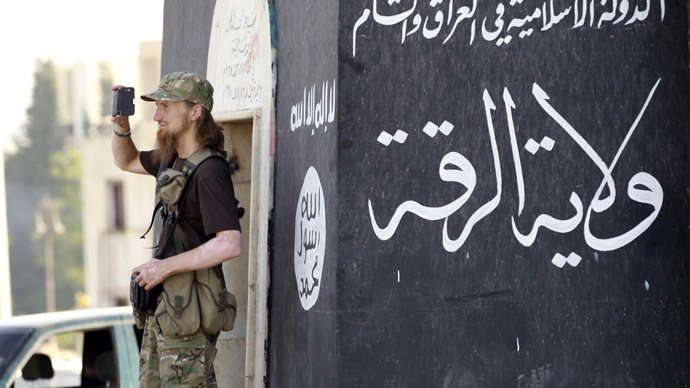 Germany also warned that jihadists-to-be could use domestic armed forces as training camps. France, along with Belgium, has seen the largest figures of radicalized Islamists who left home to join the Islamic state in their war in Syria and Iraq. Last November France adopted new anti-terror laws but they were first implemented in February when the government confiscated the passports of four of its citizens and banned 40 others from going abroad to prevent them from going to Syria or Iraq. “We have to face a particularly high threat level in France, in Europe and in other countries,” Valls said. France is not the only country that shares such concerns. On Sunday, German Military Intelligence (Militärgeheimdienst) chief, Christof Gram, voiced his fears that jihadists-to-be could use the military institutions and armed forces in Germany as sources of training before heading to join jihadists in Syria and Iraq. “We see the risk that the Bundeswehr (German army) may be used as a training camp for violent Islamists,”Gram said in his interview for Welt on Sunday. It is necessary to carry out an advanced check of the candidates for military service, he added, if there are doubts about the loyalty of the future soldiers. According to Gram, the German authorities closely track the links of local Muslims with terrorists in Iraq and Syria. A total number of Islamists who left Germany to join the militant groups in Syria and Iraq is over 600 with about 20 former German soldiers among them, Gram said. About 70 jihadists who came from Germany have died and at least ten committed suicide while carrying out terrorist acts. Approximately 180 people returned from the combat zone and may be seen as a source of a threat of radicalization for other Muslims’ and may attempt to prepare terrorist acts. Europe’s fears of new terrorist acts has been on the rise since the tragedy at Charlie Hebdo. The number of volunteers joining the Islamic State has been increasing for the last year with France, Germany and the UK having record numbers of people fighting alongside militants in Syria. The most recent report concerns three UK teenage girls who left London for Istanbul and apparently made their way to Syria. IS uses social media, like Twitter, Facebook and Ask.fm, as a major recruitment tool. Women account for approximately 10 percent of the 600 British Muslims so far recruited by the Islamic State, according to the Quilliam Foundation. Earlier Jihadi John hit the headlines after he was identified as being a UK citizen, Mohammed Emwazi, who reportedly fled Britain hidden in the back of a truck on a Channel ferry. He has gained notoriety for appearing in a number of Islamic State videos depicting the execution of Western hostages. At present he remains at large and is believed to be in Iraq or Syria.